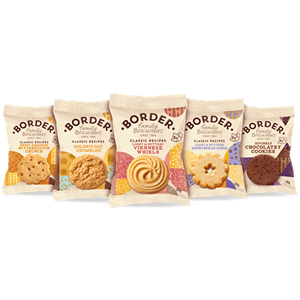 Border Biscuits are just the pick-me-up your office requires, and Zepbrook offers a great range of the treats for your staff, in all manner of flavours and sizes. Why not try strawberry and cream, or chocolate gingers, or how about an assortment tin? Simply enquire online about opening a Zepbrook account and take advantage of our great prices – and don’t forget we offer next day delivery if you get your order in before 5pm in London and 2pm elsewhere. 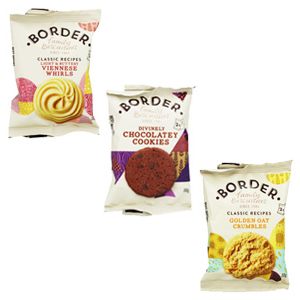 A delicious assortment of biscuits baked in Scotland by the skilled team at Border Biscuits. Biscuits don't come any more moreish than these richly rewarding creations, lovingly made using family recipes and natural ingredients. 100 pack assortment of biscuits in 5 varieties: Chocolatey Cookies, Shortbread Rings, Viennese Whirls, Butterscotch Crunch, and Golden Oat Crumbles. 2 biscuits per individual pack. 150 pack assortment of biscuits in 3 varieties: Chocolatey Cookies, Golden Oat Crumbles, Viennese Whirls. 1 biscuit per individual pack. 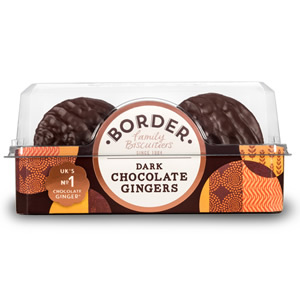 Crunchy ginger biscuits with an intense flavour covered in a smooth dark chocolate coating. 6 Boxes each of 175g per pack. 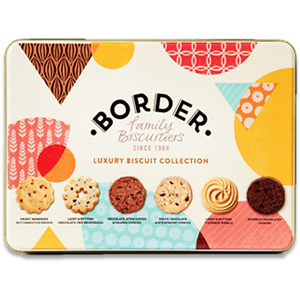 A delicious variety of biscuits in a 500g tin. 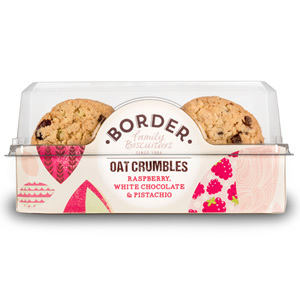 Three delicious ingredients are slowly baked together to a create a crumbly wholesome biscuit with a sensational flavour. 6 Boxes each of 175g per pack. 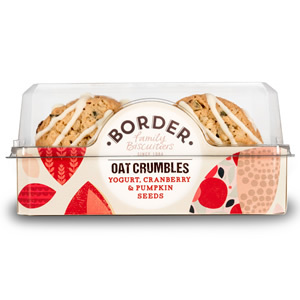 Crammed with pumpkin seeds and tangy cranberries, this irresistibly fruity biscuit is drizzled with yogurt for a slowly baked wholesome indulgence. 6 Boxes each of 175g per pack. 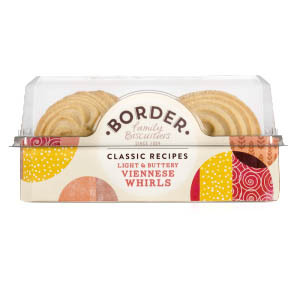 These Light & Buttery Viennese Whirls are made using only the finest vanilla and butter and are lovingly baked to remind you the lightest of biscuits. 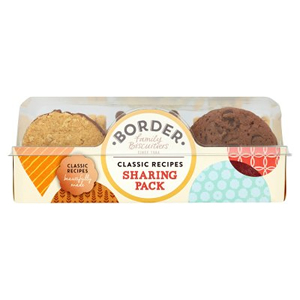 Border Biscuits presents us another treat made with a Classic recipe. 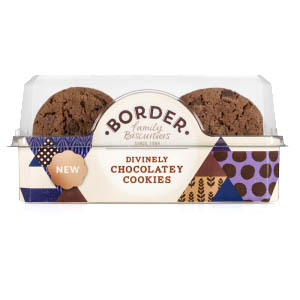 Enjoy your Office break with this delicious chocolate biscuits. 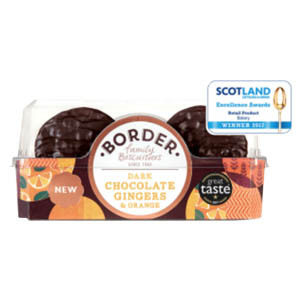 These biscuits combine the taste of spicy ginger with the zestiest orange, covered in delicious dark chocolate.